As a blizzard pounds the east coast and CES (Consumer Electronics Show) is live in Las Vegas, there’s not too much going on inside the world of Apple lately. Apple did, however, release the third beta of iOS 7.1 to developers today. The third beta brings some minor UI enhancements, but they certainly are nice ones. 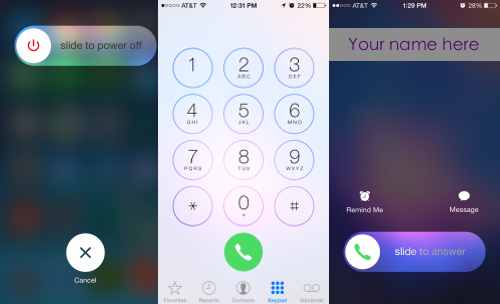 The iPhone app’s dialer has been redesigned and the screen (when accepting calls) has also been given a fresh new design. Even the power off slider is redesigned (let’s hope Apple keeps these around when it releases iOS 7.1). Just mere minutes ago we were told that Apple has released an online store via Tmall. 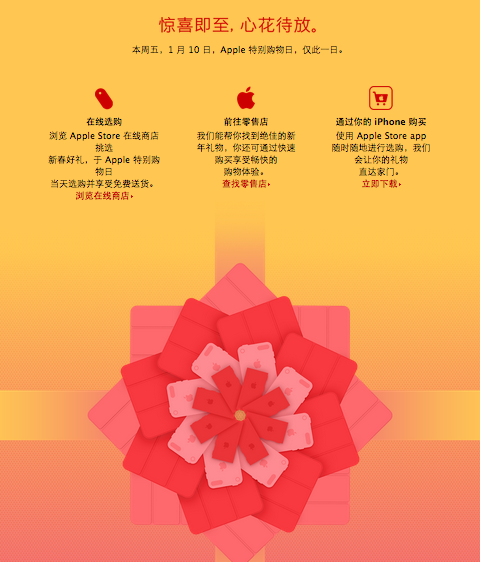 Apple’s Tmall site will feature Red Friday, a sales event later this week for Asian countries. Apple currently operates a Chinese online store. This new store is a new addition to the company’s Asian offerings. There’s a lot of new toys at CES 2014 in Las Vegas. At the annual Consumer Electronics Show, Apple’s main competitor, Samsung, unveiled it’s “Smart Life” suite of products. Although Apple is not officially present at the conference, there are many signs of its presence. A new iPort allows the iPad Air to be charged wirelessly, Morphie has all new cases, and Otterbox too. We’ll bring you more coverage of CES later in the week. This entry was posted in Uncategorized and tagged Apple, Beta, Blizzard, CES, China, iOS 7, iOS 7.1, Las Vegas, Otterbox, Snow. Bookmark the permalink.